Info: The Foamposite One was the signature shoe of Anfernee 'Penny' Hardaway in 1997. The first shoe to feature Nike's innovative Foamposite technology of synthetic leathers surrounding the upper and a clear gum sole for extra grip. 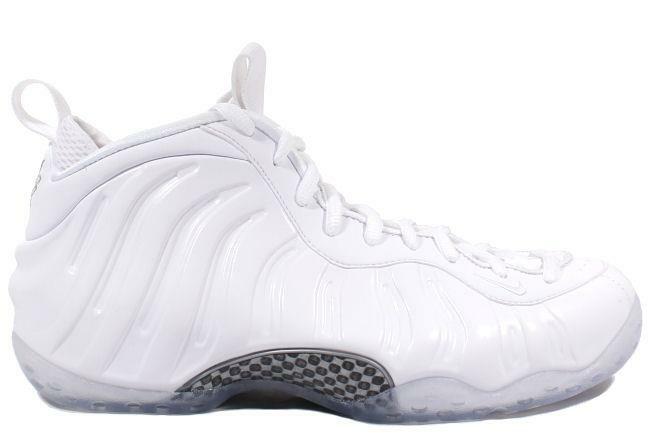 This is the white out version first seen on Penny Hardaway for a celebrity basketball game. March 2013 limited release. *Due to age some pairs have various degrees of yellowing. Pricing is based on condition. Please email for photos of individual sizes.